I shared my experience before about how easy it is to use GCash' Invest Money and invest for as low as P50. It is easy to invest, but is it as easy in redeeming your money as well? How long will it take to redeem your money? Read further. I am not actually the one who's curious about redeeming. Yung kasabay kong mag-invest ang nangulit sa akin. 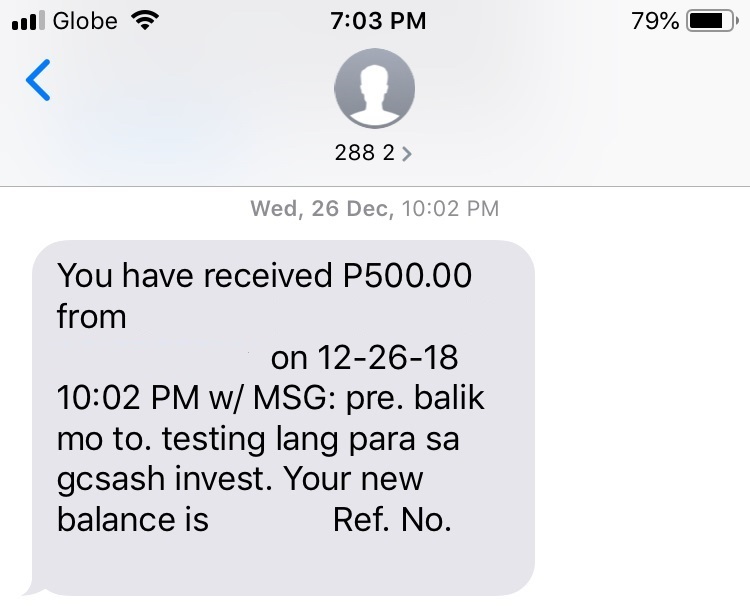 He even sent me P500 to invest to my GCash Invest Money and redeem it a week a later. 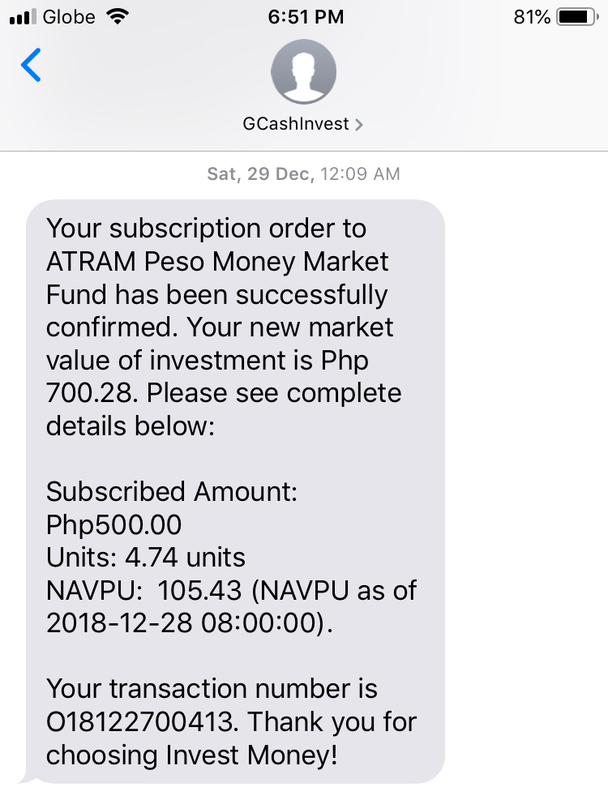 I subscribed it on my GCash Invest Money on Thursday, 27 December 2018. It was already evening so it will probably be confirmed the next day. I received the confirmation message on Saturday though. 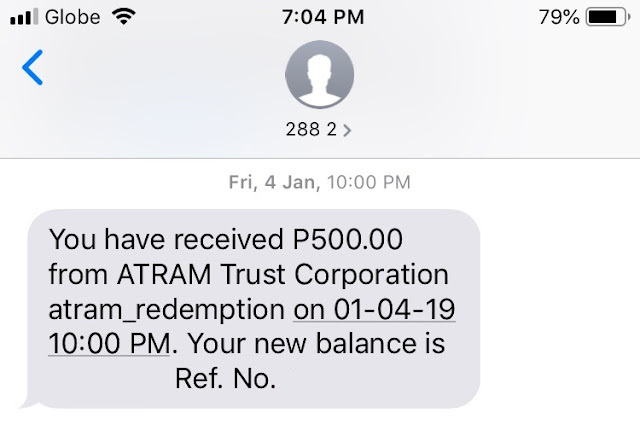 Nonetheless, we'd have to wait for a week (yun ang napag-usapan namin) to redeem it. Come next Thursday, I redeemed it in the morning. I want to see if it is the same with subscribing na when you subscribe before 9:00 AM eh it will be confirmed the same day. As per the text message I received for my redemption order, the standard order processing time is 2-3 business days after order placement. Then I received a confirmation message that evening. So in summary, it is easy to redeem. As you can see in the time frame, I redeemed it before 9:00 AM and got it confirmed in the evening. And the money has been added to my GCash balance the next business day. As for the units, tumaas ang value in a span of one (1) week, don't you think?